What do you do in your spare time? Do you go camping, fishing, or mountain climbing? Do you stay at home and do gardening, making crafts, playing with your kids, watching TV or trying out new recipes? Have you ever stopped to think whether these leisure activities are environmental friendly? 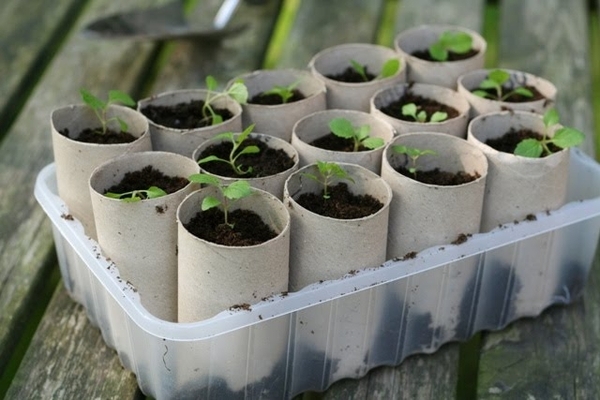 If they aren't yet, here are some activities that you can do creatively in your spare time which help preserving the environment. Stop throwing away plastic bottles to the landfill. 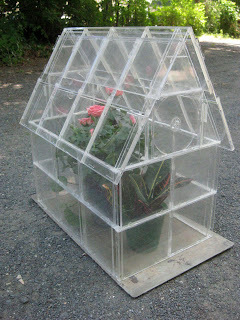 Reuse them or if you can no longer use them, create great things out of the bottles. 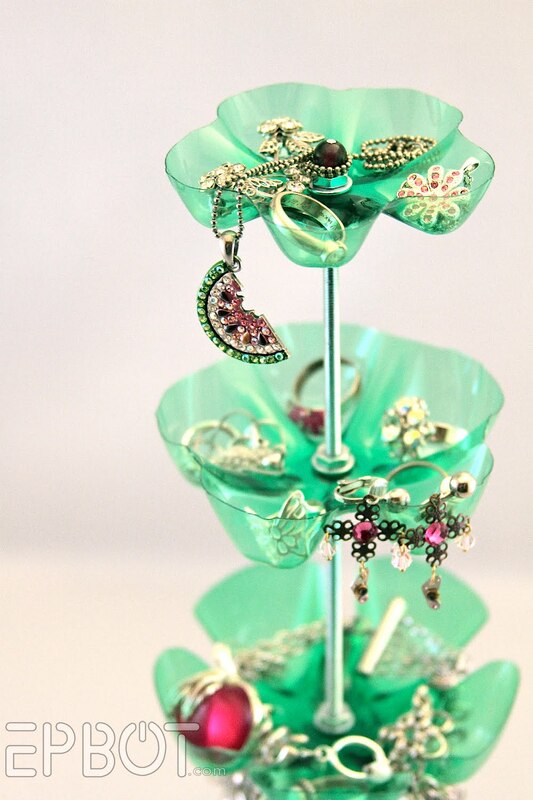 Like this cute jewelry stand. Follow the DIY instructions here. Isn't it such a shame to throw away the perfectly shaped toilet paper rolls? But when the paper has been used up, why would you keep the rolls? Well, here is an idea to reuse them before finally tossing them up in the rubbish bin. Plant your seeds in them! Did you know that Styrofoam couldn't be decomposed? One way to discourage the making of more styrofoam is to reuse it and turn it into something else. 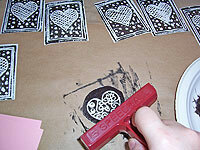 Why not make your own stamps from them? Get some disposable Styrofoam plates and make your own printing design, like shown in the picture below. Follow the complete instruction here. So you have the CD bag with lots of pockets. That's a practical way to contain your CD collection. But what to do with the CD cases? Take them to the recycle center and let them do their magic? That's possible and a great way to do it. But you can also make a greenhouse out of these CD cases? How? Check it out here. 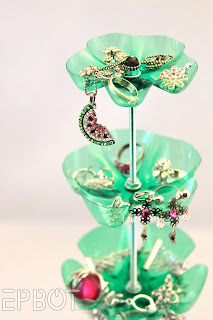 If you like wearing/making jewelries, this could be a fun and cheap activity for you to do on weekends. Get some magazine scraps and let your creativity juice flows. Make cute jewelries (or even bag) out of the recycled magazine pages, like shown here. Do you still keep last year's Christmas cards you received? There's no better time than now to recycle those cards into something useful: this year Christmas decorations! No need to spend money on new decoration. All it takes is time, and fun one! Check out what you can do with the old cards here. In some places it might be too cold to even think about beach now. So perhaps save this idea until the time is right. Click here to see how to make your own sand combs out of plastic container lids. The more plastic bottles (or plastic anything) get bad publication, the more creative ideas shared on the internet. 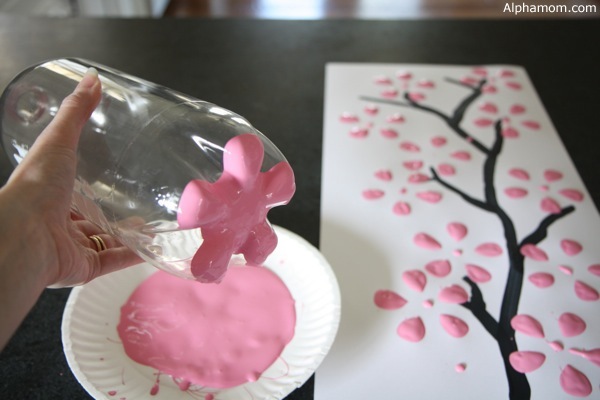 Some offer positive sides of used soda bottles, like this cherry blossom painting, created from dipping the bottom end of a soda bottle onto the paint, then on the canvas. Easy art and pretty as well! What to do with the so many shipping boxes piling up in the garage after moving house? 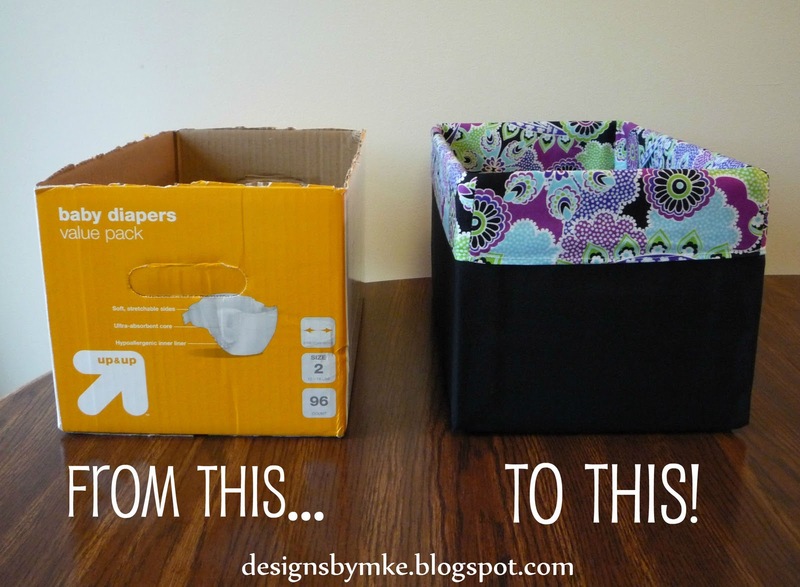 Make them pretty and reuse them as storage boxes. Problem solved! See instructions here. Don't throw away your broken (inside) bulbs. 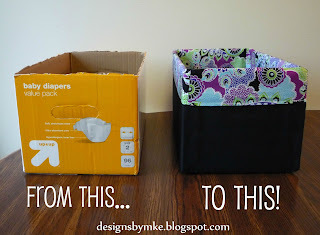 Make them into vases instead like described here. A great way to spend Sunday, isn't it? Aren't they superb time fillers? Let's try them out this weekend! Actually whenever I get leisure I use to sleep but these activities seems to be great and I can try one by one. First I’m going to try the recycle magazine jewelries because its looking good and it attracts me a lot.